Dorsey was one of Abe's school teachers. 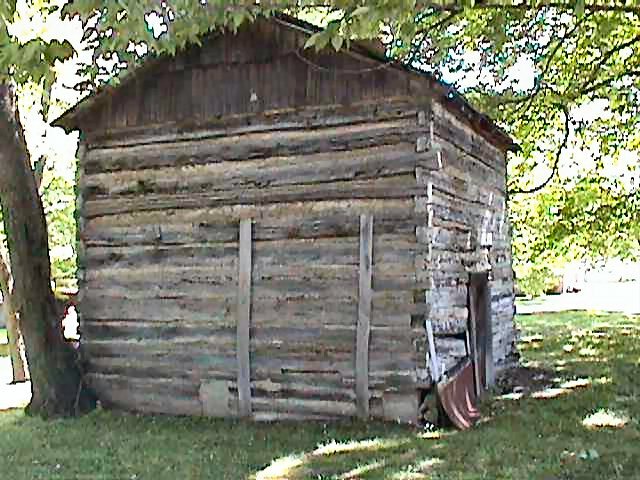 The first court of law in Spencer County was held in his home. 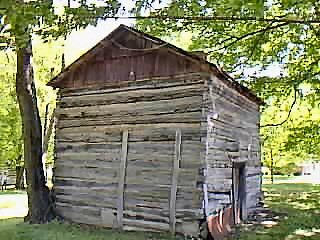 The floor is made of puncheons, heavy pieces of roughly dressed timber, hewed out with a broad ax, and put down with pegs. The desk and chairs are from the first Spencer County Court House. 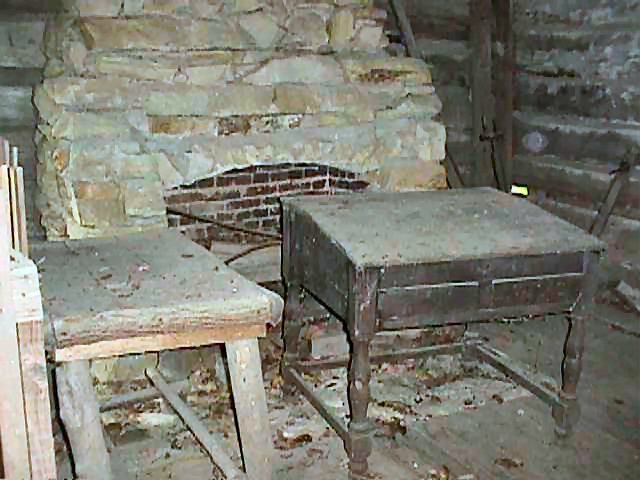 Inside the Dorsey cabin is a stone fireplace. 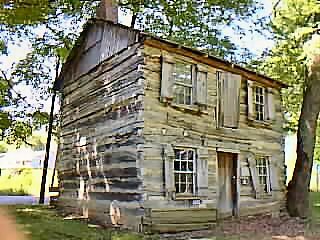 There is also a log table, a desk, a spinning wheel, and a ladder to the second floor. 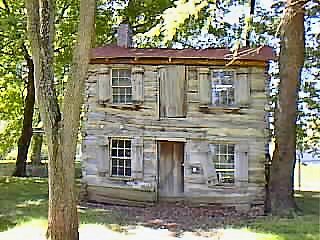 Text on Back: A view in the Lincoln Pioneer Village, Rockport, Ind. The village was designed by Geo. H. Honig, sculptor. 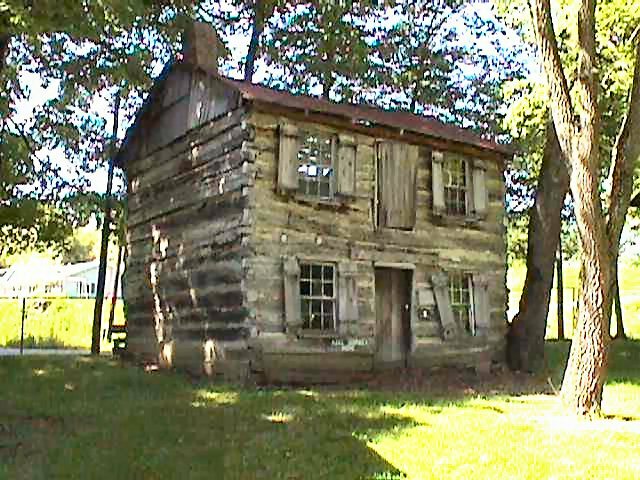 This is a view of the Azel Dorsey Cabin. 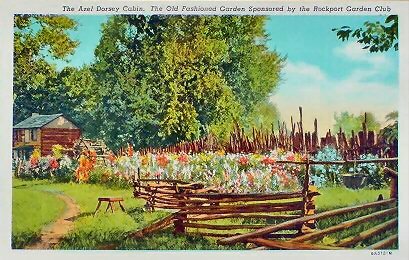 The beautiful old-fashioned garden, the work of the Rockport Garden Club. The Rockport Garden Club is sponsoring and making a beautiful place in the village.